Jaitley acknowledged there is substantial potential for domestic value addition in certain sectors, like food processing, electronics, auto components, footwear and furniture. In the first General Budget 2018-19 after the roll-out of the Goods and Services Tax (GST), the Union Minister for Finance and Corporate Affairs, Arun Jaitley, made a calibrated departure from the underlying policy in the last two decades, wherein the trend largely was to reduce the customs duty. To further incentivize the domestic value addition and 'Make in India' campaign, the Finance Minister proposed to increase customs duty on mobile phones from 15% to 20%, on some of their parts and accessories to 15% and on certain parts of TVs to 15%. The Finance Minister also proposed to reduce customs duty on raw cashew from 5% to 2.5% to help the cashew processing industry. 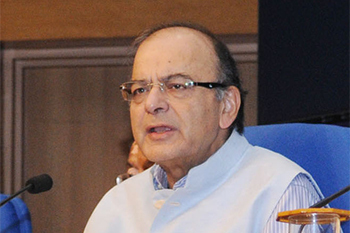 “This measure will promote creation of more jobs in the country’ Jaitley added. In fact, this will make the domestic items cheaper than imported ones and will generate more demand which, in turn, will create more employment opportunities for the people at large.